This comes after Council endorsed the Ralph Bower Adventureland Park Implementation Plan 2018, and the 2018/2019 Budget at the July Ordinary Council Meeting. 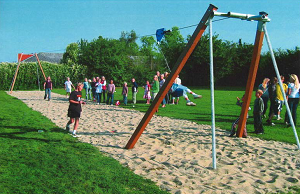 The Implementation Plan was developed with the Adventureland Park Management Committee and details ten priority projects for the park, with the funding from this year’s Council Budget to help see as many of these projects implemented in conjunction with fundraising from the committee. The Implementation Plan will help see the Ralph Bower Adventureland Park 2016-2021 Management Plan come to life, which was developed by the Adventureland Park Management Committee in 2016 to guide the development of the park over the next five years, making sure it continues to attract patronage and meet the needs of a variety of ages. Adventureland Park is classified as a Regional Park in the Shire’s Playgrounds and Public Open Space Strategic Plan and is down for the significant upgrade in the 2018/2019 financial year. The Implementation Plan, along with the funding from Council, will provide strong support for the Adventureland Park Management Committee to seek funding for the other priority projects.